In the run up to the 2016 Rio Olympics there's been a lot of talk about the "favourites" for gold. From the likes of Usain Bolt in the 100 metres to Mo Farah in the 5,000 and 10,000 metres, even casual athletics fans will be aware of the big names to look out for between 5th and 21st August. For those that fancy anteing up during the Games, the favourites aren't always the best bets. Of course, the dominant athlete will always offer the greatest chance of a return, but this return might not always be the most attractive option. For example, Usain Bolt might offer the fastest way to win some cash this summer, but at 1/2 odds at bet365 the return on your investment won't be high. Players looking to make some money during the Games need to find value in bets and not just look to favourites of each event. Essentially, a value bet can be defined as any team or competitor that is not the favourite but has a strong chance of winning. While there is no definite way to determine "the favourite", the first point of call should be the odds. In the above example, Bolt would be classed as the betting favourite. Using this as a starting point, you can look at the odds for every other competitor, weigh up certain variables and determine which ones would be classed as "value". Just as it's tough to predict the favourite, it's equally difficult to determine where the value lies in a particular competition. However, using the dynamics of the Olympic Games, you can start to identify the bets that have both a chance of coming in and earning you a return on your investment. With this in mind, there's a three-point guide to spotting value at the 2016 Rio Olympics which includes considering home field advanatage, the qualifying rounds and possible injury or fatigue. It's a phenomenon that psychologists and sociologists have been trying to accurately determine for decades, but home advantage really exists. Whether it's the reassurance of being in familiar surroundings, the creature comforts of home or the support of the crowd, home competitors are always a force. As this summer's Olympic Games will be taking place in Rio, Brazilian athletes should be your first point of call when you're looking for value bets. While this doesn't guarantee that they'll win more gold medals than expected, there's potential for some Brazilian athletes to make it onto the podium who otherwise wouldn't. For example, Talita Antunes and Larissa Franca won bronze in the women's volleyball back in 2012. This time around they will have the weight of the crowd behind them and that could inspire them to glory. Indeed, the same could be said for judoka Sarah Menezes who will be trying to use her home advantage to clinch another gold. The medals may be decided in the final round, but before the big showdown there's always a series of qualifying rounds. For the humble sports bettor, the qualifiers offer a window into the future and where the best bets might be. Before you start sizing up the market using the qualifying rounds, it's important to realise there's two ways you can do this. Firstly, you can look for the athletes who are under performing and bet against them. Secondly, you can look at the athletes who are over performing and back them. For example, let's say Usain Bolt made it through to the 200 metre final but he failed to break the 20-second barrier. In this instance he'd be underperforming, which would make it a good idea to bet on one of his rivals (with longer odds). Similarly, let's say Yohan Blake ran a personal best in the semi-finals to qualify as the top seed. Although he may not be the overall favourite, his form in the early rounds could suggest he's performing beyond expectations and therefore worth betting on. Essentially, if you're looking for value ahead of the finals, you must watch each competitor in the qualifiers. Whether it's before the Games or during, injuries and fatigue could affect the performances of – and odds on – the top athletes. 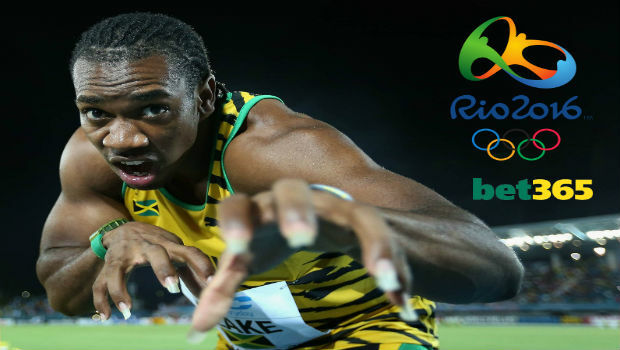 Heading to Rio, Bolt hasn't been at his best due to injury and this could affect his chances in the sprint events. Having this information could help you look beyond the assumed favourite and towards one of his rivals like Justin Gatlin or Yohan Blake. Of course, the way to find out this information ahead of time is to read the reports leading up to the Games. Check the latest headlines and an athlete's recent results to see whether they're in peak form or not. Injuries and fatigue can affect the chances of an athlete winning during the qualifying rounds. This is particularly prevalent when it comes to distance events like the 10,000 metres because runners will have to push their bodies to the limit in order to qualify for the final race. This, in a nutshell, is another reason to watch the qualifying rounds. If you really want to get the best out of the Rio Olympics, you need to be constantly scanning the betting markets at our partner sites while keeping regular tabs on the action. Doing this will allow you to see who's in form, who's injured and how the odds stack up so that you can get best returns possible this summer. For the latest value markets on this year's Rio Olympics, visit bet365's world-class online bookmaker today!